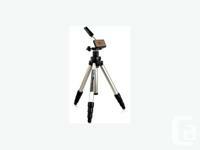 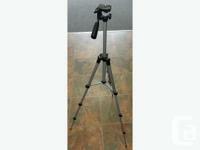 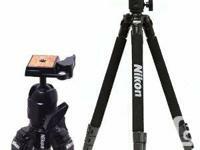 Manfrotto 028B Black Aluminum Tripod with 502hd head. 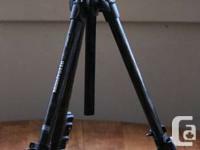 he 502HD is a sturdy, professional fluid video head that offers an 8.8 lb counterbalance capacity and otherwise supports payloads up to 13 lb. 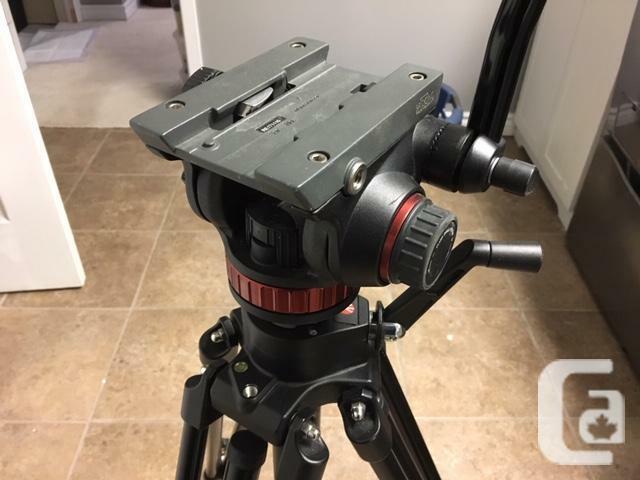 Its balance plate is adjustable across a 3.27" range to allow you to correct for payloads that may be uneven due to matte boxes or other large accessories. 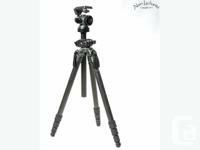 This head features Manfrotto's patented bridging technology that ensures that pan friction control is intuitive and easy to set and also protected against knocks.